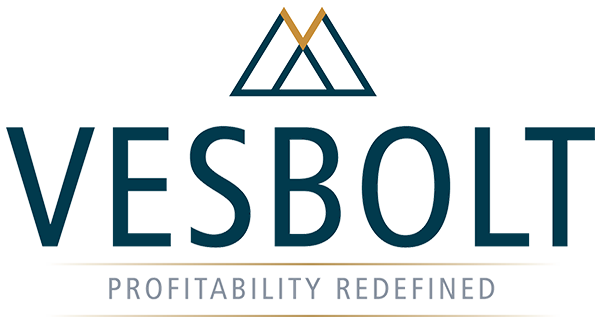 VESBOLT is a proprietary trading and asset management group that offers multiple investment portfolios to investors who want to broaden their options. Is VESBOLT registered and regulated by any financial body? VESBOLT is licensed and regulated by the Financial Services Commission of the British Virgin Islands. VESBOLT LTD. is authorised and regulated by the British Virgin Islands Financial Services Commission as an Approved Investment Manager. What are the advantages to being domiciled in the British Virgin Islands? The BVI is a British Overseas Territory and a leading financial centre. It is home to the second largest number of regulated investment funds globally, boasting a high level of tax transparency, regulatory and compliance standards. The BVI does not impose tax on dividends, interest, rents, royalties, compensations and other amounts paid by an investment fund to persons who are not resident in the British Virgin Islands. BVI authorities do not require information on investors or clients conducting business or investing there, thus ensuring a certain degree of confidentiality. The BVI offers a strong legal system, with laws that are clear, fair and sophisticated enough to determine complex international issues. Financial service providers are regulated by the BVI Financial Services Commission, to ensure high quality service and protection for investors. As a politically stable jurisdiction, investor assets are protected and preserved. Moreover, investors are able to distribute their assets to whomever they please. VESBOLT provides managed account services to retail and institutional clients. A managed account is an investment portfolio that is managed by a professional manager who makes and actions investment decisions based on an investment strategy, which has been determined as suitable for meeting a client’s objectives. Unlike managed funds, client investments are not pooled with the money of other clients; they always remain separate and clients retain ownership of their trading account. Yes you can. You can register here and follow the steps from there. If the advisor code you enter does not match our system, it will not let you proceed. If that happens send us an email at support@vesbolt.com and we’ll sort you out. Once you are registered you are able to add new investment and upload documents, view your portfolios, update personal details and you can also take part on our advisory program. How long would it to take to get a trading account approval? Normally it takes between 2 to 4 business days to get approval from the bank, provided all required details, forms and certified documents are fulfilled. Swissquote Bank handles all transactions the day they are received, however, transaction time also depends on the processing time required by the depository bank. What happens if you go bankrupt? Is my money safe? Your funds are held in a segregated account under your name with Swissquote Bank. VESBOLT does not have access to your investment other than for the purpose of trading on your behalf. If the business is to become insolvent your investment is not affected and remains with the executing bank. The single most important factor in the financial industry. Client funds held with Swissquote are maintained separately and cannot be utilised for operating expenses. In the unlikely event of bank default, client funds are legally protected up to 100 000 CHF and returned directly to the client. Swissquote maintains a balance sheet with Net Capital largely superior to minimum regulatory requirements. Do I need to pay local tax for my investment returns? Depending on the tax laws of any other jurisdiction, there may be withholding taxes imposed on dividend, interest income or capital gains received by the portfolio investment on securities issued by governments or corporations of those jurisdictions. Investors have a responsibility to declare their investment returns or referral incomes to the local tax department. Do I earn any commission for referring self traders? Yes, we will pay you 30% of our broker’s rebate as your advisory rebate when you refer self traders to trade with any of our preferred brokers. The rebate will be pay to your VESBOLT V-Wallet account. Once you have accumulated more than US$100, you can withdraw the amount to your bank account. Standard banking fee will be charge on every withdrawal. Who are your portfolio managers? VESBOLT is headed by a team of tremendously accomplished players in the financial and investment industries from Switzerland, Netherlands, Spain, Singapore, Australia and US. Our team consists of professional traders and technologists with vast experience in handling large sums of money, ability to assess and react swiftly to market changes and proven track record. What are the financial products being traded by VESBOLT? Our portfolios invest mainly in high-quality, short-term foreign exchange denominated in G10 currencies, money market instruments and commodities. G10 currencies are currencies in which investors have confidence and are typically currencies of economically and politically stable industrialised nations. Our team also executes various trading strategies in options and futures on selected portfolios. What portfolios do you offer? Minimum investment is US$ 2,000. There is no limit to the size of additional deposits. The minimum investment on each portfolio is either US$ 2,000 or US$ 5,000 depending on selected portfolio. We highly recommended that investors diversify their funds into 2 or more of our portfolios to minimize the risk and maximize the gains. Once investors choose to target a level of risk based on your goals, time horizon, and tolerance for volatility, diversification may provide the potential to improve returns for that level of risk.  How diversified will my assets be with VESBOLT? You will have global diversification with our investment portfolios. We trade FX, commodities, futures and option contracts in over 100 regulated market exchanges, which make it possible to diversify risk around the globe. This diversification is both geographical and across market sectors. How can I monitor the progress of my investment? You receive a daily email on the balance of your investment as well as specifics on the trading activity that occurred on your account over the previous 24 hours. This email is sent each day when the New York market closes. You will also receive monthly statement from Swissquote Bank by email at the end of each calendar month. What is the ideal investment period recommended? According to our past experiences, we recommend that you invest for at least 12 to 24 months to enjoy greater trading success. What is the investor's liability? Investor’s liability is limited to the amount of their investment in each portfolio. Investors will not be required to contribute additional capital to each portfolio. What are the fees charged by VESBOLT? VESBOLT charge various fees depending on each portfolio. Typically, we charge a commission of USD per lot traded and % performance fees on net equity gained. There is no spreads rebate or mark up as our portfolios are trading with prime brokerage raw spreads. No, there are no upfront fees on our managed accounts. How much COMMISSION PER LOT will be charged? Every portfolio has various commission charges. Typically, here at VESBOLT we only charge US$10-15 commission per traded lot to cover our business expenses, asset manager trading expenses and advisory commission. All commissions will be directly deducted from every trade as shown on daily/monthly statements. How are performance fees calculated? We charge various % of performance fees depending on each portfolio. Typically, we charge 20-30% of the profits on equity earned at the end of each month using high watermark model. So if the manager loses money over a period, he or she must get the fund above the high watermark before receiving a performance bonus. The fee (if applicable) is only calculated on the last day of the month. The above example uses the accounts equity, not the balance. Are the performance fees (profit sharing) guaranteed? No they aren’t. As described in the example above, they are subject to beating performance hurdles and a high water mark. You can withdraw your profit amount at any time by submit your withdrawal request through VESBOLT investor web site or by email to admin@vesbolt.com. Upon approval, proceed withdrawal via Swissquote eBanking or filling up the Swissquote funds withdrawal request form, sign it, date it (no post-dating, please) and send it to admin@vesbolt.com no later than 3 days from the date on the form. Larger withdrawals involving investment capital are also requested through the same method, however it will only be effective on a monthly basis as of the close of business on the last business day of the respective calendar month, upon at least 7 days prior written notice to such withdrawal. If your instructions contain all the required information, your withdrawal request will be processed by Swissquote Bank within a maximum of 3 business days, although the bank do their best to process withdrawal requests within 1 working day. Swissquote charges US$10 fee for a standard withdrawal. However, please note, that your transfer may involve other banks and we cannot guarantee that those banks will handle the transfer immediately. Nevertheless, you should receive your money within 3-5 business days. Can I stop using VESBOLT services at any time? Yes. You can choose to stop our services anytime by sending an official email confirmation to admin@vesbolt.com. However we require approval from our risk assessment team to ensure your withdrawal won’t adversely affect the available margin on the account. This process can take up to 48 hours. Can I get my money back if I need it? Yes, you can get back some or all of your investment whenever you need it. 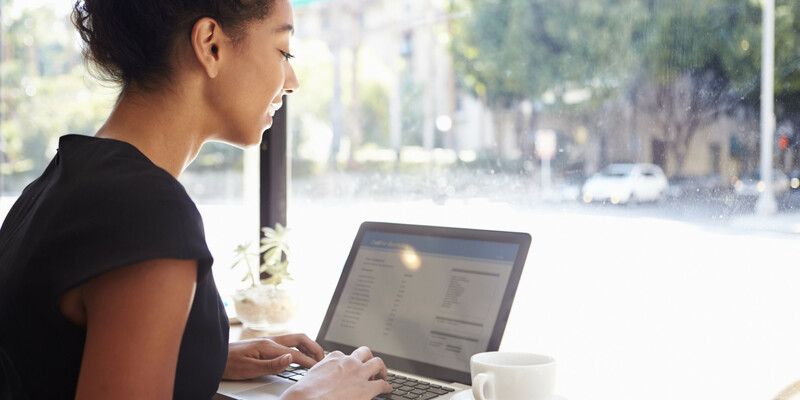 Your Swissquote accounts are designed to be flexible and meet your needs. Is there a minimum amount I am allowed to withdraw? No, you can withdraw any amount you wish. However, considering that fees will be charged by Swissquote and other banks involved in the withdrawal process, it makes sense to request a withdrawal for a sensible amount: our recommendation is not to request a withdrawal of any amount less than USD 500.00 (or equivalent). Can I trade the account myself as well? No, once you assign your sub account to the portfolio manager, you won’t have access to trade the funds yourself. You would need to open a separate account not tied to the manager if you wanted to trade manually. How do I update or amend my contact details with you? You can complete the changes through our online investor portal, or write to us with your new details at support@vesbolt.com. “BIC” stands for “Bank Identifier Code”, and uniquely identifies a bank within the SWIFT network, the largest network of bank-to-bank instructions used by about 10,000 financial institutions throughout the World. Providing BIC ensures that your money arrives faster. We urge you to get this information from your bank. Prevent your withdrawal from being returned to Swissquote (banks can refuse transfer without warning if no IBAN is provided). How to open an account with LMAX? You can open an account with LMAX by click on the provided link . LMAX Exchange currently offers accounts denominated in GBP, EUR, USD, AUD, CHF, JPY, PLN, SEK, SGD, HKD and HUF. You can easily fund in by logging into your own account via bank transfer, debit or credit card with ZERO transaction fees. If you would like to request a withdrawal from your account, please submit your request by email to support@vesbolt.com. You should complete the online request form in your own account once you received confirmation from VESBOLT. Completing this form online will ensure your withdrawal amount will be automatically debited from your trading account balance. How to open an account with LCG? You can apply for LCG account by click on the provided link . Can I nominate VESBOLT to trade on my account for me? Yes, you can nominate VESBOLT by completing a Limited Power of Attorney form. Limited Power of Attorney allows the person you have nominated to trade on your account, however they cannot withdraw or deposit funds. What is the minimum deposit amount for self trading and portfolio investment? You need to have deposit of USD1000 for classic account and USD5000 for ECN (Electronic Communication Network) if you would like to trade by yourself under VESBOLT. The minimum investment for VESBOLT portfolio is USD2000- USD3000. You can securely deposit quickly and easily by logging into the My LCG Account Management portal and funding your account. There is a 2% charge for payments made by credit card. We accept all major debit and credit cards. We do not accept American Express and some International Visa Electron cards. You shall received “Congratulations! You can now deposit- LCG” email from LCG once your account has been approved. The email contains LCG banking details for deposit funds. If you would like to request a withdrawal from your account, please submit your request by email to support@vesbolt.com. You should complete the online request form in your My LCG area once you received confirmation from VESBOLT. Completing this form online will ensure your withdrawal amount will be automatically debited from your trading account balance. If you are unable to access MyLCG you can request for new password by click on forget password on MyLCG. We action refunds as quickly as possible and normally the same business day, once the funds leave your account it can take up to 3 – 5 working days to register in your bank account. Do i get any commission rebate as a self trader? You will earn commission rebate of US$3 per standard lot when you trade minimum 1 lot within a calendar month on FX & commodities. The rebate will be pay to your VESBOLT V-Wallet account. Once you have accumulated more than US$100, you can withdraw the amount to your bank account. Standard banking fee will be charge on every withdrawal.